Trust me, it’ll be hysterical. 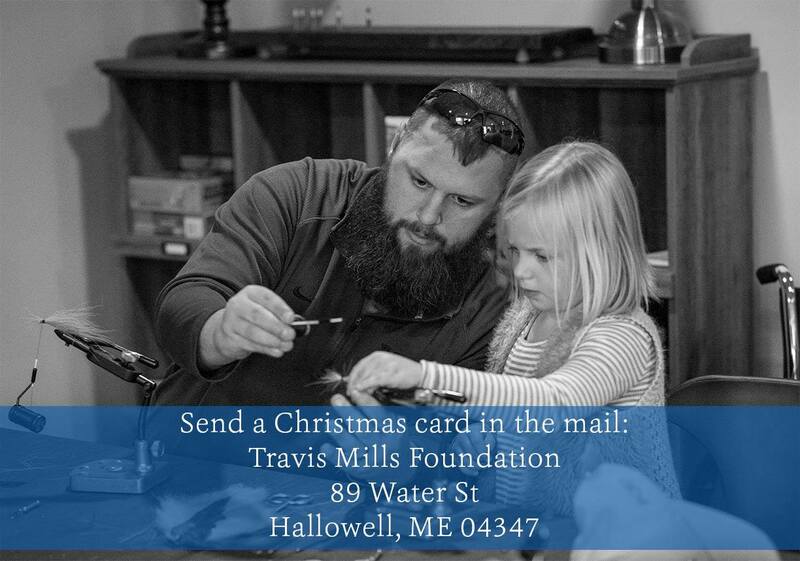 We would have to say that one of our favorite “things” this Christmas is The Travis Mills Foundation. Yeah, we still refer to it as Christmas. Mainly because if you tell folks just to stop by during the *Holidays* they tend to show up and never leave. That’s not festive at all. In short, the Foundation has built a wonderful retreat on the shores of a beautiful lake in Maine. It is set up for war-injured veterans to get away, with their family, for a week of relaxation and renewal. It is good for the body and soul. Check out their Facebook page for more information about all that they do. YOU will want to be involved even in some small way with this outreach. I know a little bit about their upcoming Christmas week with special vets and their families. Let me say that those who will be blessed with the visit have been able to overcome more than simple challenges over the last few years. So, I am thinking that it would be extremely cool if our small contingent of faithful Facebook friends would be willing to take a moment and send them a Christmas card. We are at 289 thousand friends, and 298 thousand folks who follow the page. That’s an awful lot of turkey, so we shouldn’t just show up for dinner unannounced. If you sign the card, maybe you could add me to your family signature. Just write, -TC- at the end of your standard family sign off. Similar to “Love and Hugs, Bob, Betty, Melvin…and TC” Of course if your name is not Bob, Betty, or Melvin- I would suggest you do not use those names. That was only an example. Now, if you use *TC on your card signature I immediately become family. State law! If I stop in when I finally strike out on a road trip across America, I am gonna just need a spot on the davenport, carport, or maybe just a place in the driveway to park so I can catch a couple moments of shut-eye. Deal? Deal. Maybe we could show them how much we appreciate all that they have done and overwhelm them with the kindness that you show us every single day by following the marginally famous Bangor Police Department Facebook page. Last year we sent them 1400 Christmas cards. We, meaning- YOU. If you are in, drop a note in the comments. I would offer to reimburse you all for the stamp, but our budget is busted (never had one). Welcome to a more positive Monday!